Introducing the Chloe Earrings. These statement cascading shaped resin earrings hit that perfect note for this AW18. 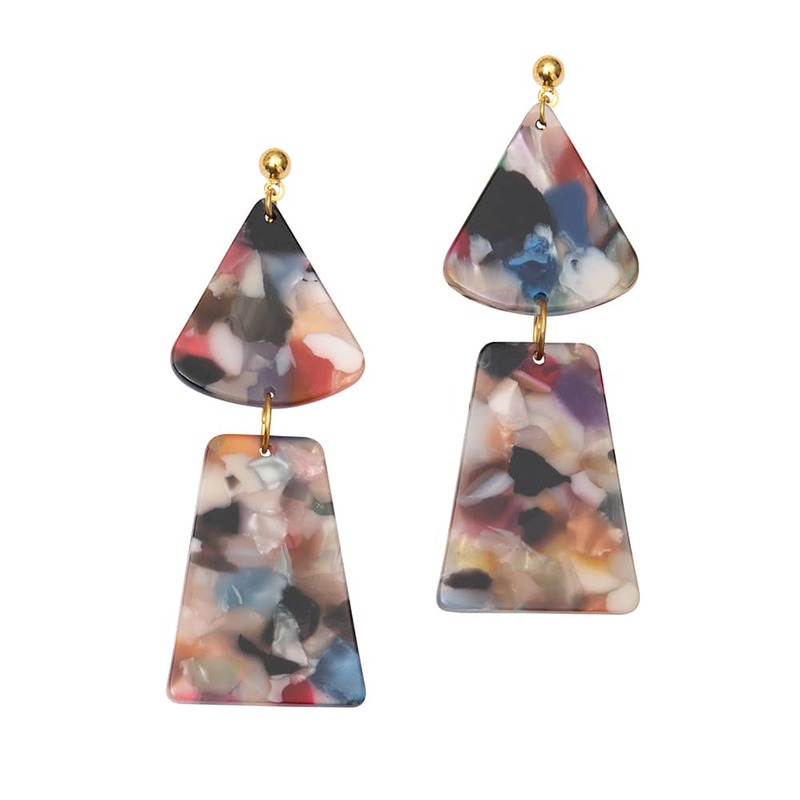 Made from environmentally sourced resin they are lightweight and durable. Featuring a mixed coloured pattern. Suitable for day to night.